How should I go about choosing a gym? Shop around — just as you would for anything else. Look at all the gyms in your area. See how far they are from your home or office. Some facilities offer a trial membership for a day or week. Make sure to take advantage, and don’t be pressured to join. Many gym salespeople work on commissions and quotas — don’t be sold a bill of goods. Take your time, especially if a long-term commitment is involved. Ask for a facility tour, write down what you like and dislike so you can compare. Check out the gyms’ websites; see if they post their class schedules online. And make sure to observe several of the classes in session during the time you would ordinarily be there. You don’t want to go at an off-peak time to observe if you plan on working out at a peak time. Make sure to check out the crowd to see if you would feel comfortable with these people. When making your choice — what factors should you consider? The most important thing is that the gym fit your needs. Take a look at the equipment, facility, classes and staff. “If you’re looking for good equipment, see if they have the kinds of machines and weights you like, and make sure the machines aren’t too crowded at the time of day you’ll be going. If you’re looking for group #exercise classes, see what variety they have and if the times are convenient for you. If you’re going to be changing there, see if the locker rooms are clean. If amenities are important, look for child care, day spa services, a pool, etc. In addition, look for a facility that is within 12 minutes of your home or work. Research shows you are more likely to use it if it’s close,” says Kathie Davis, executive director of IDEA Health & #Fitness Association. Make sure the gym is not overcrowded if you plan on working out during peak hours, especially on Mondays — the day everyone wants to get healthy again after an unhealthy weekend. “This is generally a gym’s busiest time. If there is a long wait for equipment you feel you would be using, you may be wasting a lot of time waiting around for your workout,” says Cook. What should you look out for when signing up for a membership? First of all, you need to know the exact costs. Make sure there are no hidden fees. And don’t just take the salesperson’s word for it — it all needs to be in writing. Can you freeze your membership without fees? Under what conditions, if any? What method of payment is accepted? Think carefully about automatic or electronic fund transfers (EFT), which allow the gym to take funds directly from your bank account or credit card. It’s better to use auto pay from your bank. Are there any hidden fees, such as for towel use or group fitness classes? What are the initiation fees? Does the facility have a procedure to inform members of any changes in charges, services or policies? Does the facility offer a pool? Tennis? Squash? Is there an additional charge for these? Is it possible to get initiation fees waived? What services or amenities might cost extra? Massage, personal training, physical therapy, private instruction (e.g., yoga), tennis, golf, pool, towel service, bottled water, overnight lockers, among others, are amenities for which a gym is likely to charge an extra fee. How do I know if the equipment is good? You should be comfortable asking about the equipment — how old it is, why it was chosen, how it’s maintained. Look to see if it’s rusty, creaky or missing any parts. What about programs and classes? There are many different kinds of classes offered these days, but how good are the instructors? Do qualified exercise instructors develop the programs? What are their backgrounds? Do they have a degree in exercise science? Are they certified by a recognized fitness organization such as American Council on Exercise (ACE), National Strength and Conditioning Association (NSCA) or the American College of Sports Medicine (ASCM)? Make sure to review the group class schedule. Typically it changes monthly, so ask to see the schedules for the past few months. Get a feel for the classes and instructors. Will staff members modify the programs to meet your needs? Does the facility offer programs to address medical conditions (weight loss, diabetes, hypertension, smoking cessation, etc.)? Does the facility offer programs for the age group in which you are interested (i.e., elderly, adolescents, children)? Does the facility offer fitness assessments and a personalized exercise program or prescription? Does it offer classes in aerobics, spinning, martial arts, strength training, yoga and Pilates — all common fitness programs? Does what I wear matter? Is there a dress code? Typically you can wear whatever you want, although some gyms do have rules. But, rules or not, you should make sure you have proper workout clothing — no jeans or dress shoes. “Aim to be comfortable, and make sure your clothing isn’t too tight, too loose or too cumbersome (such as having too many awkward zippers),” says Cook. It depends on what your gym offers. “In general, a lock for your locker, workout clothes, workout shoes, any sport-specific equipment the gym does not provide (such as spin shoes or boxing gloves), toiletries (deodorant for sure), a hair clip or ponytail holder if you have long hair, a towel, a plastic bag for wet, sweaty clothes if your gym bag does not already have a separate compartment for these, a clean change of clothes and, if you want your own playlist to work out to, an iPod (don’t forget your headphones),” says Cook. What are the most important gym rules of etiquette? Cleanliness. Your body, clothing and breath should be clean. Do not try to re-wear dry but already worn sweaty clothing. Brush your teeth and/or rinse with mouthwash. Put away weights or whatever equipment you use once you are done with it. Cellphone use is always inappropriate. If you are at the gym at a busy time, be courteous about the length of time you are on a piece of equipment or be willing to share (let someone work on it while you are taking a rest between sets). Be aware that the gym is a shared space. In a group fitness class, save your conversations for after class. Do not interrupt the instructor or fellow participants. Should I be concerned about the music? What if I don’t like it or it’s too loud? Absolutely — you certainly don’t want to be in a gym that plays loud, thumpy music all day if you don’t enjoy it. Ask about the music. Come at a few different times to see if you find it pleasant. Keep in mind, you can always bring an iPod or other personal music device and choose your own music. 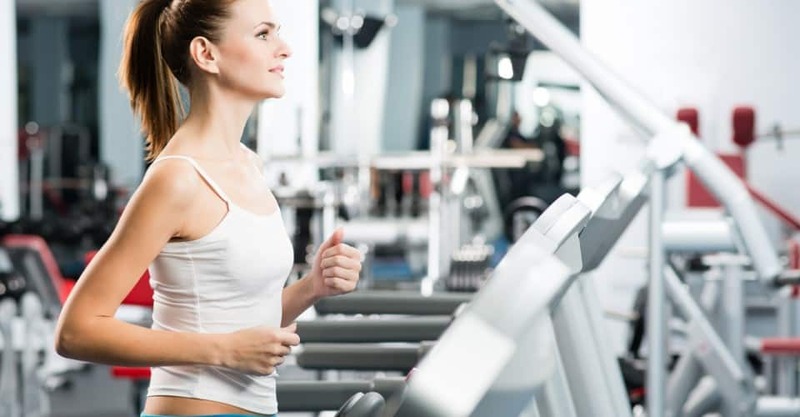 But if the gym’s music is too loud — well, that would interfere with your personal listening. I’ve never used the equipment before — what should I do? Some facilities offer a free training session, and many have fitness trainers walking the floor to look for potential clients. Take advantage; ask lots of questions. Most equipment has a panel with information on how to use it. However, fitness equipment can be dangerous, so if you can afford to hire a qualified personal trainer for several sessions to show you a routine you can then do on your own, that would be your best bet. Maybe buddy-up and split the costs with a friend. What should I be looking for in terms of cleanliness? Just look around you. Does it look clean? Is there debris on the gym floor? Is the equipment rusty? Are the locker rooms clean? Do you see any maintenance people cleaning? You should ask how often locker rooms are cleaned. Are the trainers and staff wearing clean uniforms? “Check out the yoga mats. They should be cleaned often and odorless. Most gyms have antibacterial wipes available for equipment wipe-off after use and/or a constant cleaning staff,” says Cook. How do I know if the personal trainers are qualified? What current certifications do you have? How often do you attend continuing education workshops? Is your liability insurance current? What documentation do you keep on clients? Do you perform initial health and fitness screenings? What if I fail the screening? Will you help me set realistic goals? What forms of exercise will I perform during a session? How many times a week will I need to see you? Do you give dietary and nutrition advice? What happens if I become injured?